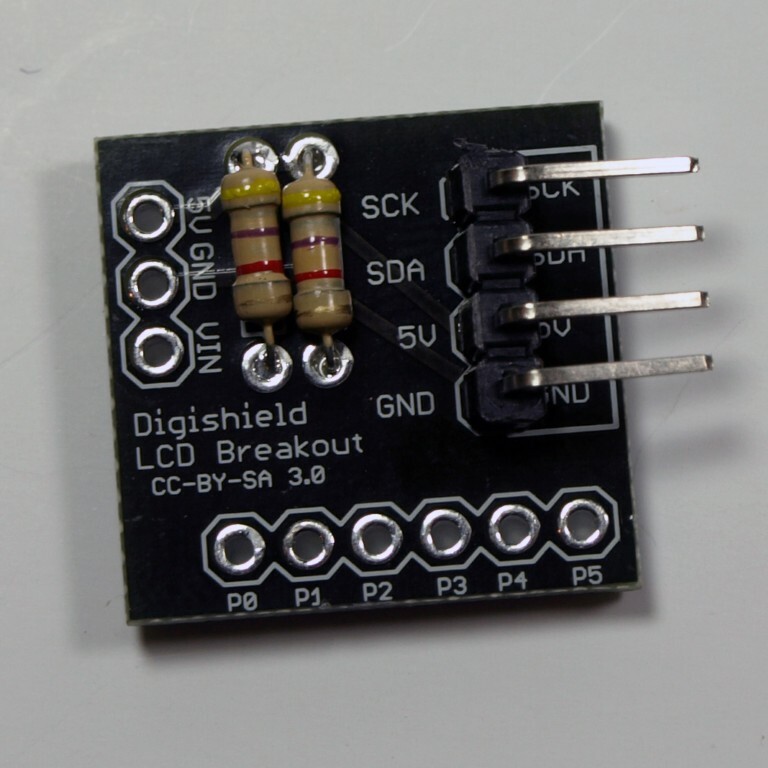 The LCD Shield Kit allows you to build a Digispark shield which connects a 16×2 I2C LCD display to the Digispark development board. 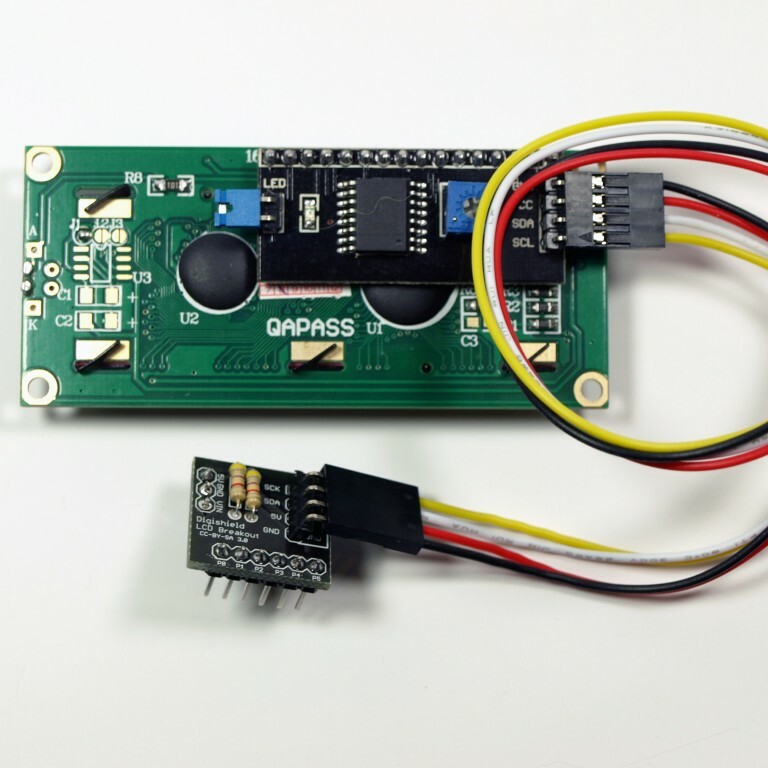 It communicates with the Digispark over the I2C bus and allows the Digispark to output text and characters such as sensor reading and debugging information. The included I2C LCD is White on Blue and backlit. Cut 4 pins worth of header off of the piece of male right angle header provided. 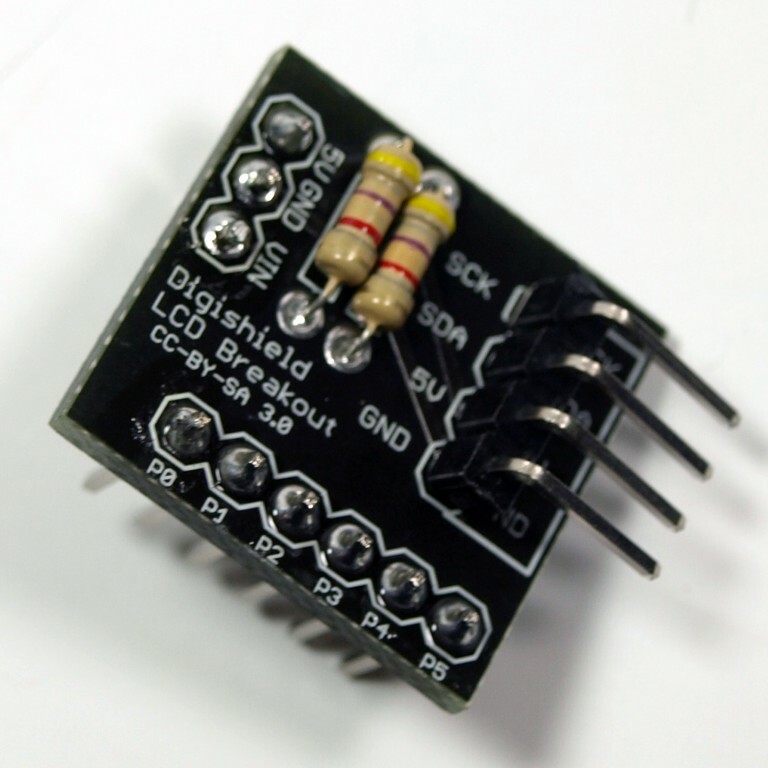 Insert the 4 pin right angle header (on the top of the board) and solder each pin. 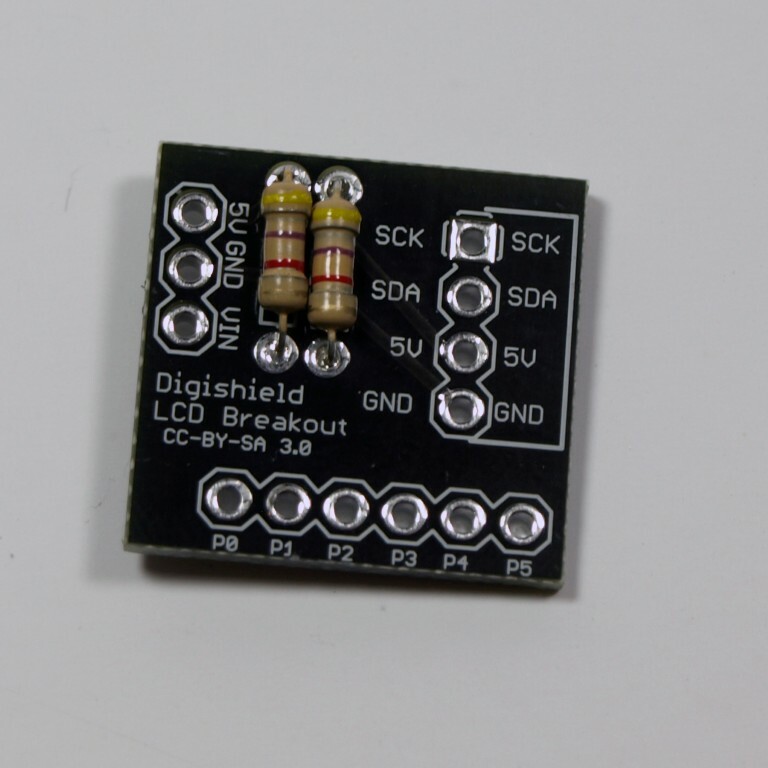 Connect the LCD module to the board using the included cable, ensure that the connection at the board match up with the connection at the LCD - the black wire should be connect to the ground pin on each of them. 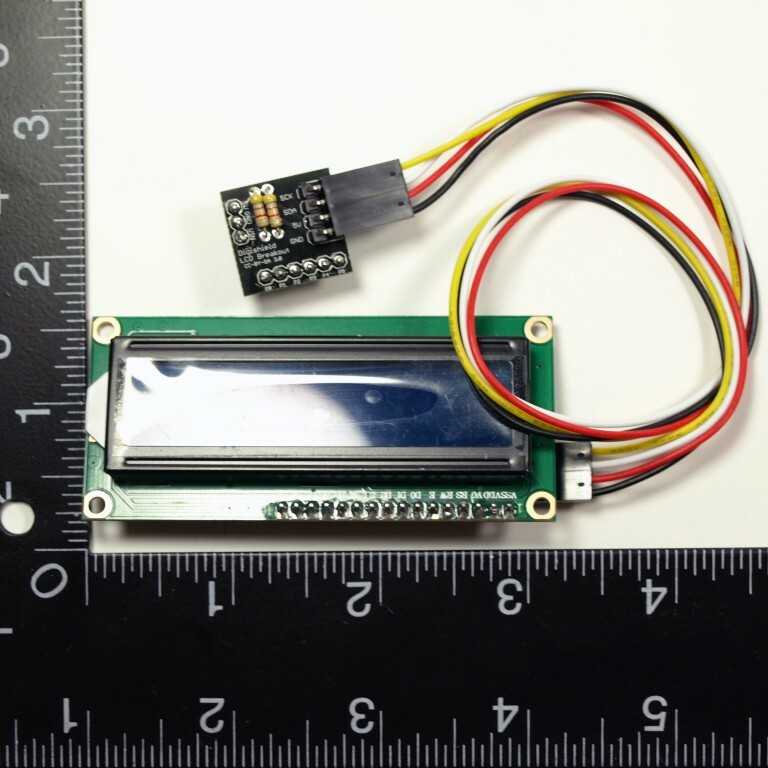 Your LCD shield is complete! NOTE: If your back light won't turn on check that the jumper is present on the back of the LCD screen on the pins labeled LED - if not you can bend and solder these pins together. 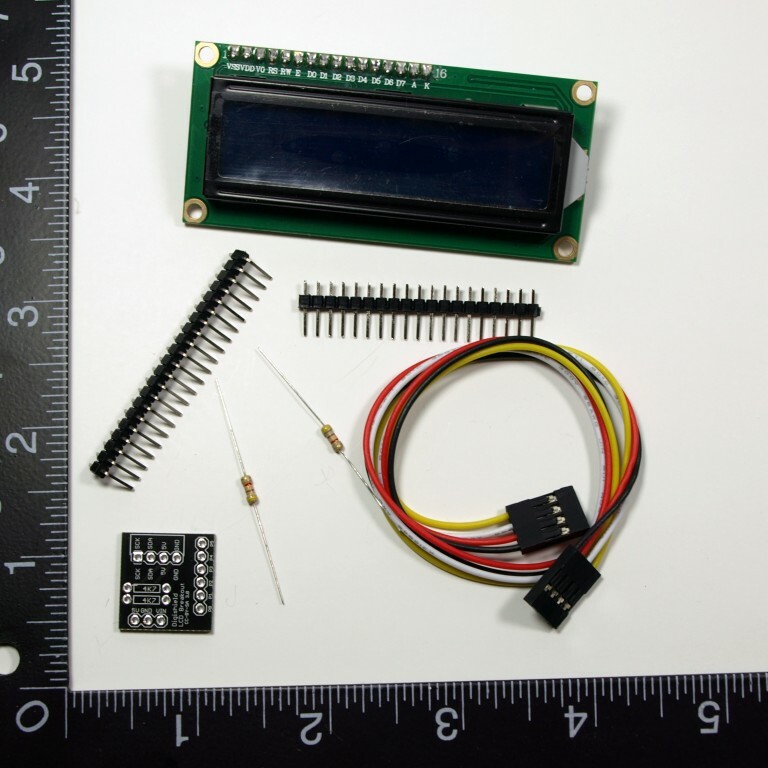 Please refer to the LCD example in the Digispark LCD library included with the Digispark Arduino Addon. Nothing appears on my LCD: When the Digispark powers up the LCD should light up right away and show some dark boxes on the top line for about 5 seconds. If it lights up but there are no dark boxes try adjusting the contrast - the blue box with the phillips head thing on the back of the screen. After 5 seconds the boxes should disappear and say Digispark! (if using the BasicUsage LCD example) instead - if they aren't disappearing this could also be a contrast issue - try adjusting it the other direction.